Motorola MT2070 - Batch Mobile Computer Kit Includes Standard Range Laser Scanner, Charger/Bluetooth Cradle, USB Sync Cable. Power supply and AC Line Cord. 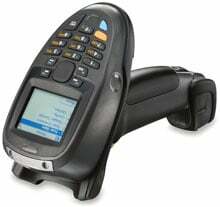 The Motorola KT-2070-SL2078C1US is also known as SYM-KT2070SL2078C1US	or KT2070SL2078C1US	.